A WOMAN HAS been prosecuted for the first time under the UK’s new domestic violence rules after repeatedly physically and psychologically abusing her partner, leaving him “10 days away from death”. Luton Crown Court was told Worth and Mr Skeel met at college in 2012 when they were both 16. From an early stage she had control over him, telling him what he should wear and attacking him physically. This “sustained and prolonged” campaign of abuse escalated further in the last nine months of their relationship, during which time, Alex Skeel was battered, stabbed, burned, denied food, forced to sleep on the floor and kept away from his family by Jordan Worth. The abuse and their relationship both came to end one evening last June 2017 when a neighbour called the police after hearing shouts from the couple’s home. Alex Skeel was taken to hospital with burns to his arms and legs, wrapped with clingfilm in an attempt to treat them. Pleading guilty to grievous bodily harm and coercive controlling behaviour, she was jailed for seven-and-a-half years. She is the first woman convicted under domestic abuse laws introduced in 2015. Now that coercive control is considered an offence, the police can prosecute those who are guilty of psychological and emotional abuse, and not just physical abuse. Coercive control is subtle – it isn’t always obvious what’s been happening and may escalate over a period of time. The victim may not immediately recognise the behaviour as abuse. The desire to control often underpins abusive relationships and can lead to violence. 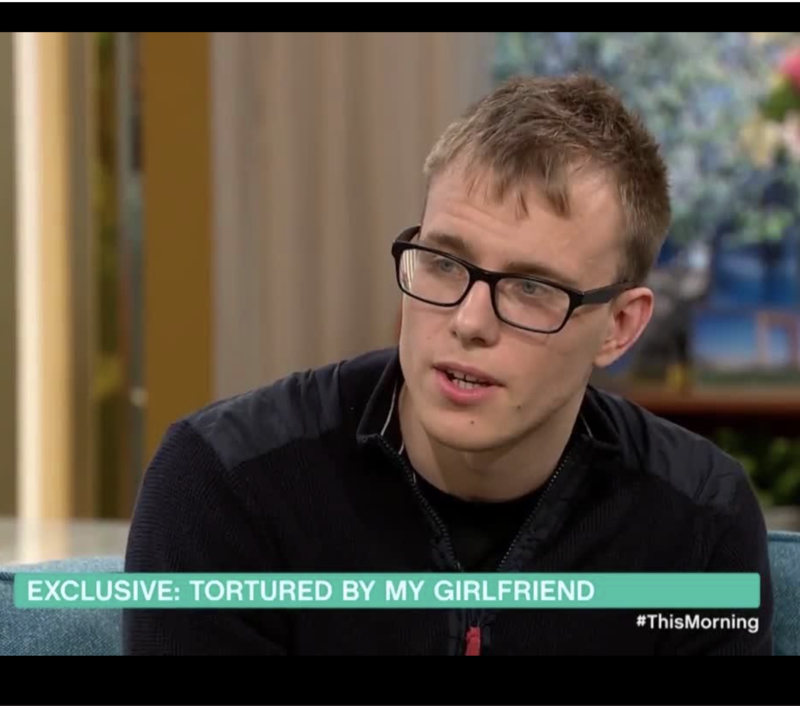 Since then, Alex Skeel, 22, from Stewartby, Bedfordshire has urged other victims in abusive relationships to speak out. “The hospital told me I was 10 days away from death. I believe the reason I survived to tell my story is to help others going through a similar ordeal. This campaign explores the enculturation of violence through families over generations across cultures, and how does one, whether the abuser or the abused, interrupt the pattern of violence? This for-profit campaign will contribute proceeds directly to our affiliate organizations combating this pandemic and supporting victims and recovering abusers. We also aim to connect professional and service groups to share resources, tools, ideas, and collaborate. Currently organizations from over 68 countries around the world have officiated their support of Free Yourself Global. Click here to learn more.